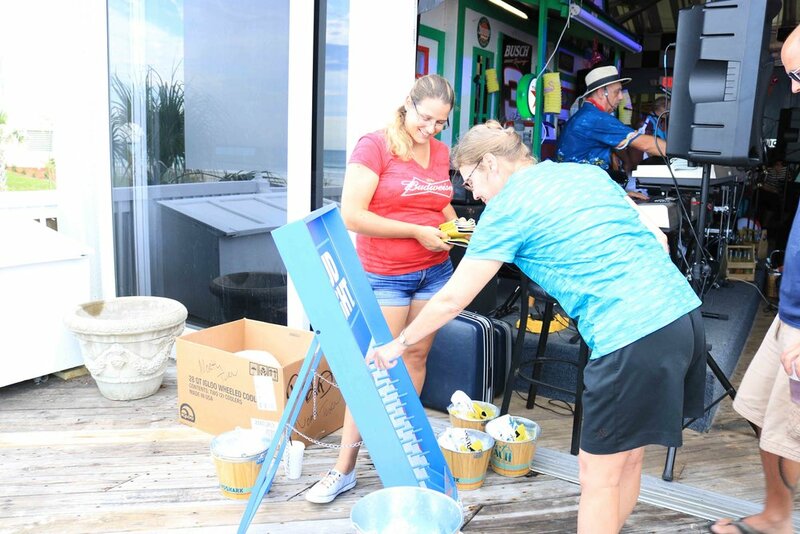 Racing's North Turn won a 2017 Top 10 Florida Beach Bar award sponsored by LandShark Lager and they are 1 of 3 beach bars in Florida to place in the Top 10 each of the 7 years that we've held the contest. To celebrate, the staff was dressed in fun tropical outfits, they handed out lei's to the guests, and the bar was filled with balloons and pink flamingos (Florida Beach Bar's favorite bird!). Then2Now had the dance floor packed. The front-man, Larry E. Hicks, would often go out into the crowd and make sure everyone was having a good time. They would even come out by a table and play a special request if someone was celebrating a birthday or anniversary. 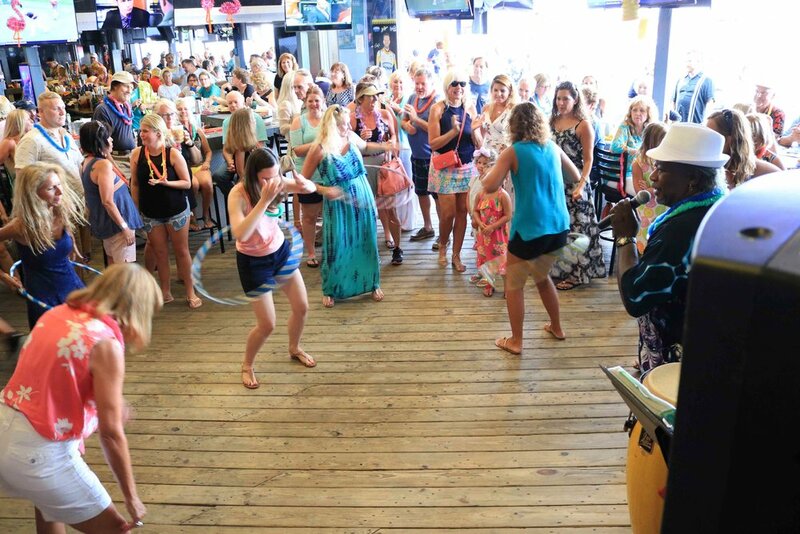 They have the philosophy of "Entertain everyone to the fullest" and they didn't disappoint at this Top 10 Florida Beach Bar party. Landshark Lager was there handing out fun merchandise and even had several raffles to win free gear like a cooler! Racing's North Turn organized fun events like a Hula Hoop Contest and a Best Dressed contest to win prizes like a six pack of LandShark Lager and baskets filled with Racing's North Turn merchandise and spirits. The owners, Rhonda and Walt, accepted the award on behalf of the entire staff and the General Manager, Lars, was very proud of the people that make Racing's North Turn a Top 10 Florida Beach Bar. Congratulations to everyone at Racing's North Turn for achieving this top honor for the 7th year in a row and for hosting such a fun party!